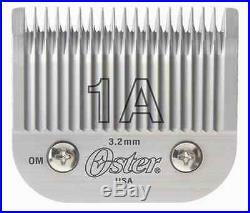 Oster® Detachable Replacement Clipper Blades. Fits: Classic 76 , Octane , Model One , Model 10 , Titan, Outlaw Clippers. Size 000 Leaves Hair 1/50 (0.5mm) [#76918-026]. Size 0000 Leaves Hair 1/100 (0.25mm) [#76918-016]. 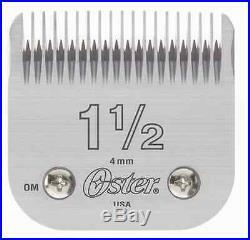 Size 1A Leaves Hair 1/8 (3.2mm). 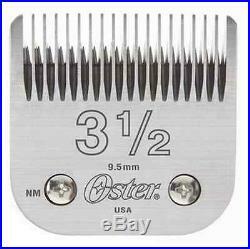 Size 1 Leaves Hair 3/32 (2.4mm) [#76918-086]. Size 1.5 Leaves Hair 5/32 (4mm) [#76918-116]. 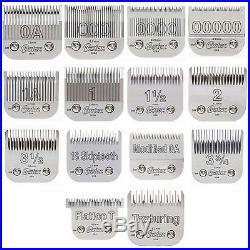 Size 3.5 Leaves Hair 3/8 (9.5mm) [#76918-146]. 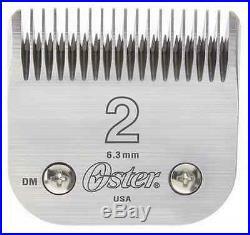 Size 3.75 Leaves Hair 1/2 (12.7mm) [#76918-206]. 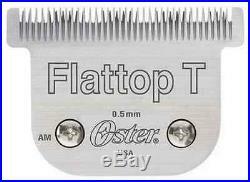 Size Flat Top T Leaves Hair 1/5 (0.5mm) [#76918-216]. 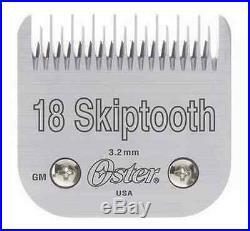 Size 18 Skiptooth Leaves Hair 1/8 (3.2mm) [#76918-106]. 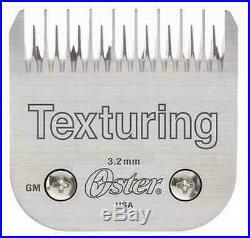 Size Texturing Leaves Hair 1/8 (3.2mm) [#76918-306]. 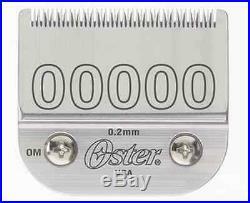 Oster® Professional blades are produced from the finest high-carbon steel and handcrafted to our rigorous standards, providing unparalleled precision and performance. Made blades are hardened to RC62-66 (Rockwell Scale C) in-house prior to receiving a cryogenic treatment which further enhances the hardening process. The blade cutting surfaces are then sharpened, finished and tested with proven Oster® proprietary processes, ensuring ultra-sharp blades that continue to stand the test of time. 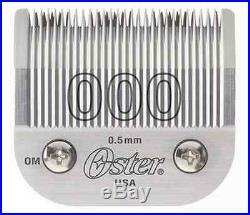 Available in multiple sizes for various cutting lengths and maximum versatility. 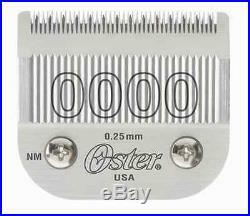 The item "Oster 76 Replacement Clipper Blades Fits 76, Pwrline, Model 10, Titan, Octane" is in sale since Friday, November 14, 2014. 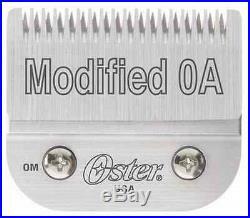 This item is in the category "Health & Beauty\Shaving & Hair Removal\Clipper & Trimmer Parts".distributing" and is located in Plymouth, Indiana. This item can be shipped to United States, Canada, United Kingdom, Denmark, Romania, Slovakia, Bulgaria, Czech republic, Finland, Hungary, Latvia, Lithuania, Malta, Estonia, Australia, Greece, Portugal, Cyprus, Slovenia, Japan, China, Sweden, South Korea, Indonesia, Taiwan, South africa, Thailand, Belgium, France, Hong Kong, Ireland, Netherlands, Poland, Spain, Italy, Germany, Austria, Bahamas, Israel, Mexico, New Zealand, Philippines, Singapore, Switzerland, Norway, Saudi arabia, Ukraine, United arab emirates, Qatar, Kuwait, Bahrain, Croatia, Malaysia, Brazil, Chile, Colombia, Costa rica, Dominican republic, Panama, Trinidad and tobago, Guatemala, El salvador, Honduras, Jamaica, Viet nam, Uruguay.